B.L.I.S.S. is an international crime fighting organization. The name is an acronym, though what it stands for is never revealed. It has been in operation for over two decades, fighting the most deadly of threats to peace the world can devise, people and groups that are sometimes outside the reach of national Intelligence agencies. One example of such a group is the League Of Violent Economic Revolutionaries, or L.O.V.E.R. 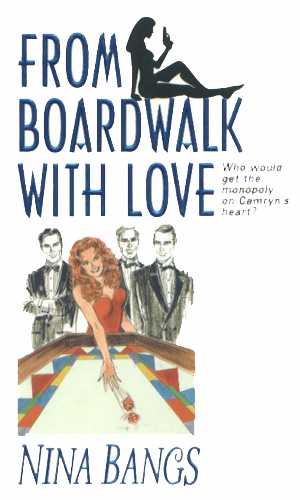 The series is firmly in the Romance Espionage genre. It revolves around the organization as each of the three stories involve a different agent, a practice used in several other series in thie sub-category. The one recurring character is the head of the organization, a woman known only as Y.
Y is a mature woman who has seen her share of dangerous missions over the years and now has to remain behind a desk while others take to the field. 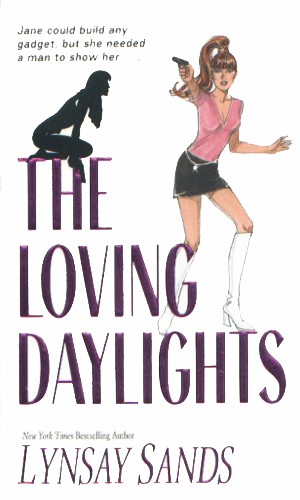 Camryn O'Brien, Rachel Calais, and Jane Spyrus are the three agents involved in the books written about B.L.I.S.S. and each one is young, adventurous and resourceful but other than that they are quite a bit different. Camryn is brand new at her work and wants to prove herself quickly. Rachel is an experienced agent, though with a different agency, who is a crack shot and not afraid of much. Jane is a gadgeteer, able to build weapons and instruments from bits of things lying about and jumps at the chance to use them for real. The B.L.I.S.S. 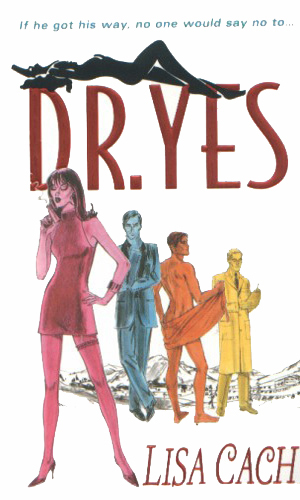 series was a humorous foray into romance and spy-fiction obviously using James Bond as a guide. Other books in the series were undoubtedly planned but sales must have been too low to continue other than the initial three. Camryn O'Brien is Agent 36DD, one of B.L.I.S.S. 's newest agents. Her assignment is to guard the world's richest man who had created on his island an exclusive playground for the very rich. Now he has been marked for death by Zed, the leading assassin for L.O.V.E.R. Rachel Calais wasn't a trained agent for B.L.I.S.S. but she was a highly intelligent well experienced guide very familiar with Nepal. This made her the best choice to lead a team to the hidden sity of Yonam and a scientist who has devised a spray to make any woman say yes. Jane Spyrus was a scientist working in the Equipments Department of B.L.I.S.S., not a field agent. She made ingenious gadgets to help those actually doing the fighting, though some of her inventions were a bit much. She takes to field when her neighbor disappears and she knows something is wrong. It might have been fun to see where else the series would have gone - what other Bond adventures they would have done a 180 with but, alas, we will never know.